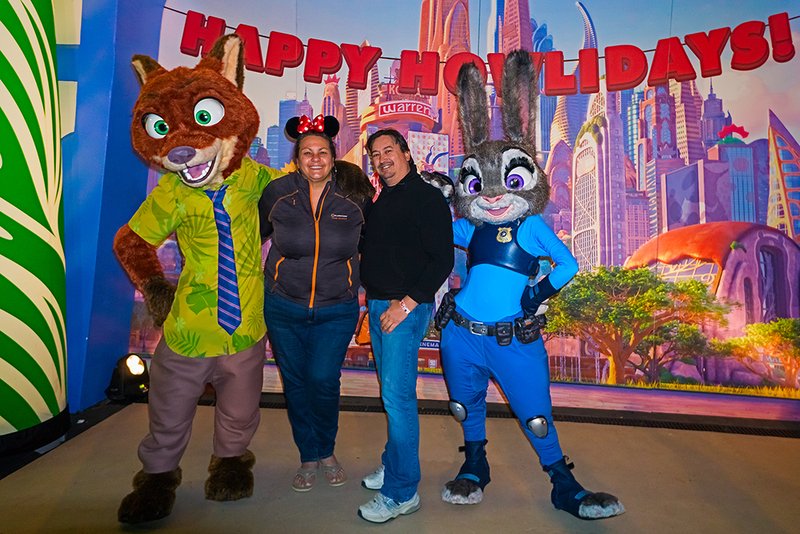 This is the second of my three articles about our 2017 visit to Walt Disney World for the holidays. 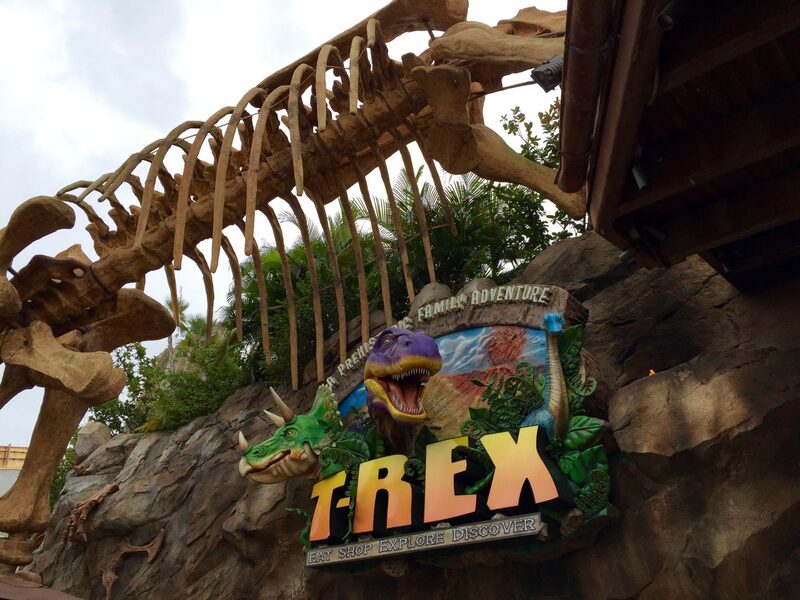 In Part one I talked about the resorts around the Magic Kingdom (and a killer brunch). If you missed part one you can find it here. 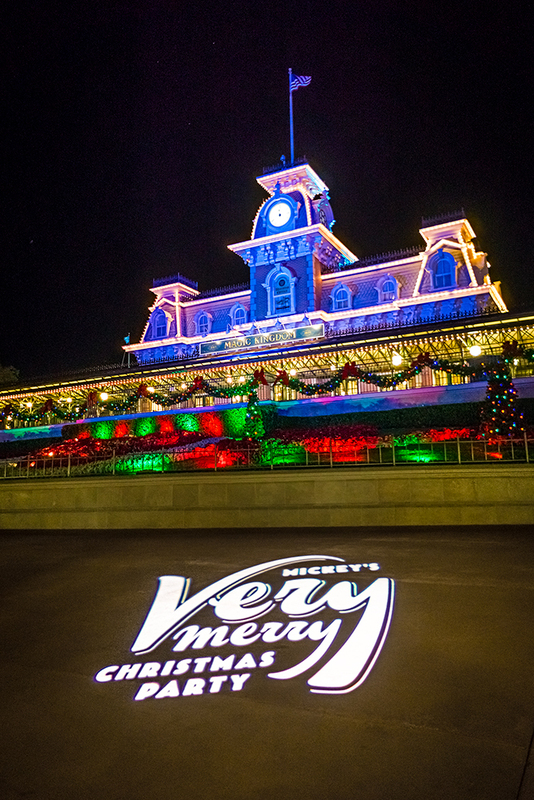 For Part two I’ll be going in to the parks and I’ll also talk about our first Mickey’s Very Merry Christmas Party. 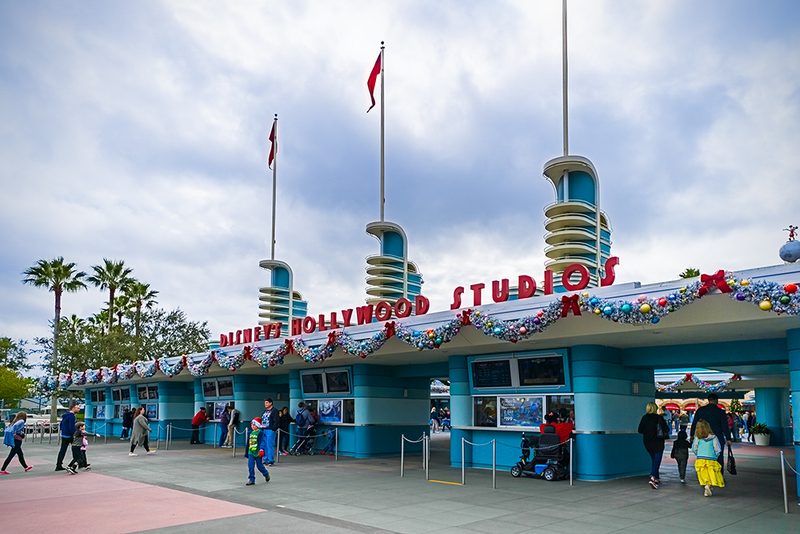 The first theme park of our holiday visit was Disney’s Hollywood Studios. Our first theme park on this trip was Disney’s Hollywood Studios. 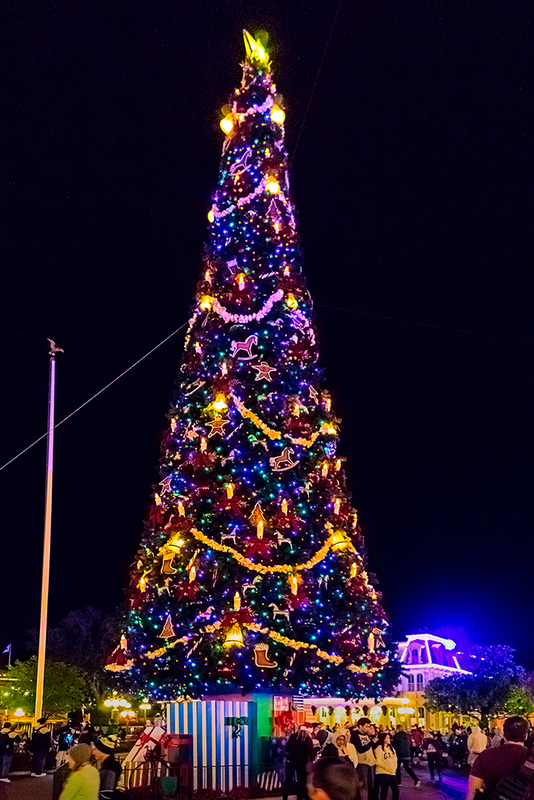 The last time we visited Disney’s Hollywood Studios for the holidays was the last year for the Osbourne Family Lights and that really set the standard for what the parks could be during the holidays. 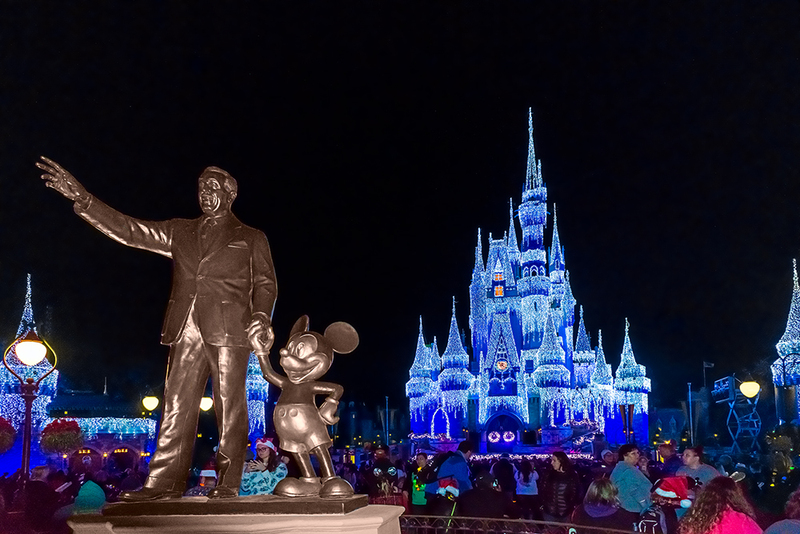 While I didn’t expect anything as breathtaking as the Osbourne Lights, I was super impressed by the many new additions Disney added this year. The most obvious in the daytime is the decorating of Echo Lake. 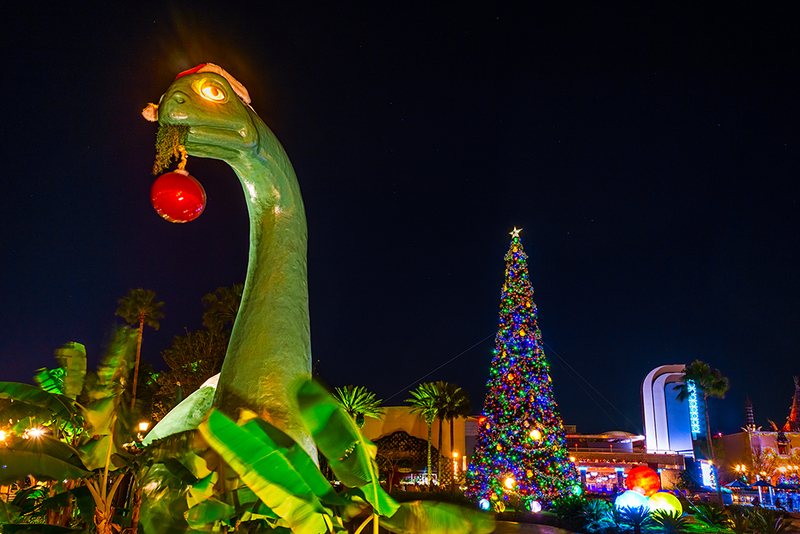 Even Gertie received a holiday makeover! After the sun sets the Studios really takes on a holiday feel. 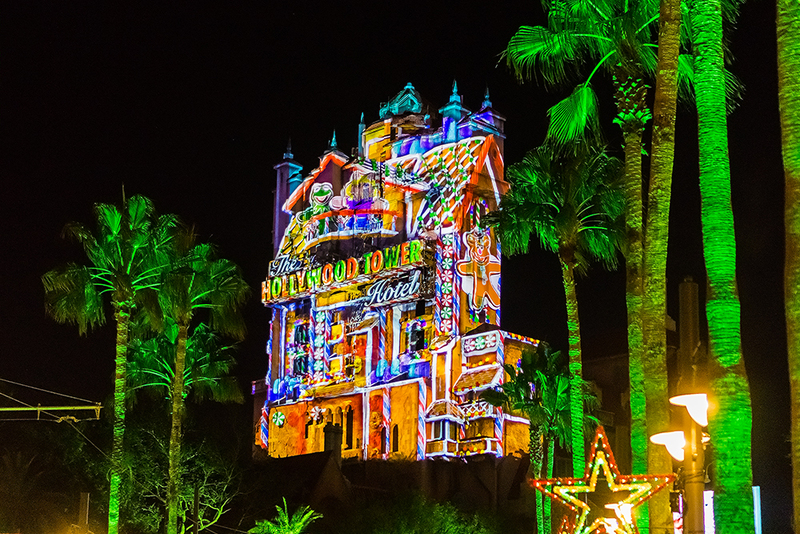 The big addition this year is over on Sunset Boulevard where a new holiday themed projection show makes use of new billboards and the Hollywood Tower of Terror ride. 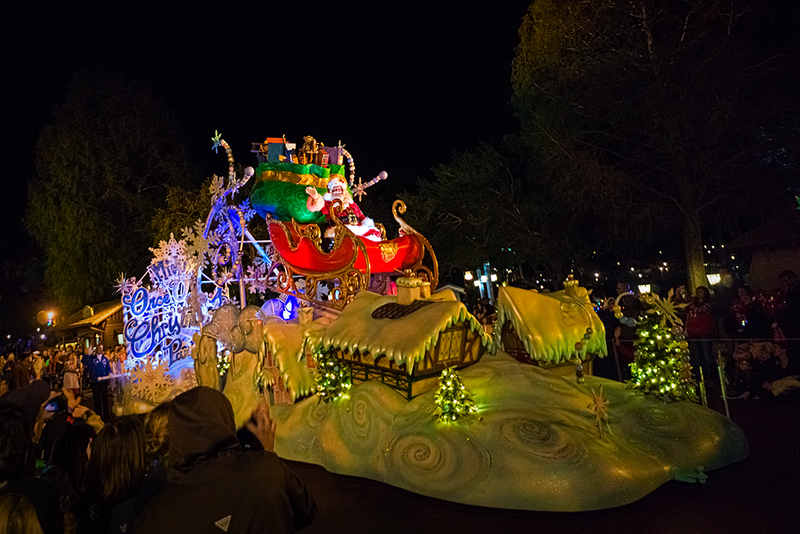 Disney calls it “Flurry of Fun” and it consists of number of short holiday shows which make great use of the tower. With Christmas music playing between showings it’s an awesome way to get in to the holiday spirit. Unfortunately for us the wind was too high for the snow to work the way it normally does but we did get to experience the snow on Hollywood Boulevard as we were leaving the park. 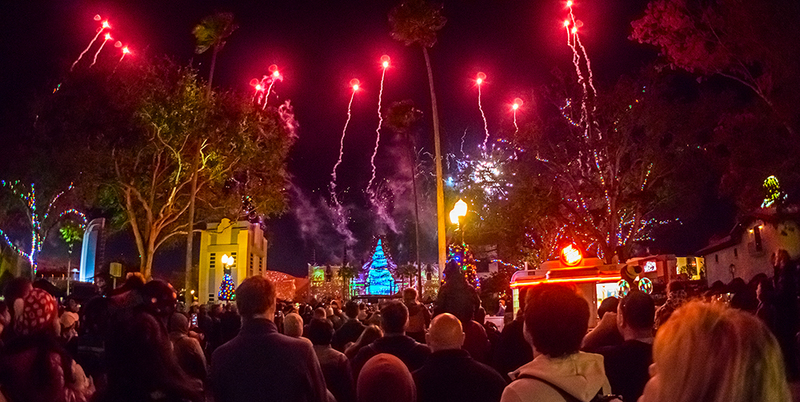 The projection/fireworks show, “Jingle Bell, Jingle BAM!”, returned this year and it’s a holiday themed night time spectacular in the park’s hub. It’s nowhere as awesome as the new Magic Kingdom show (Happily Ever After) but it is a nice show with plenty of lighting effects, immersive fireworks and a fun story using characters from Disney’s Prep and Landing. 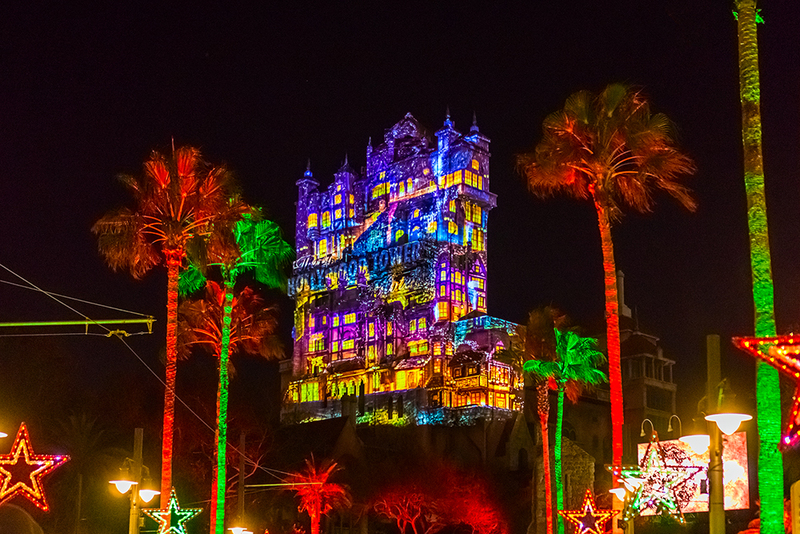 The Osbourne Lights are gone forever, but Disney has really tried to make up for this absence with a genuine attempt at making the Studios an annual holiday destination. 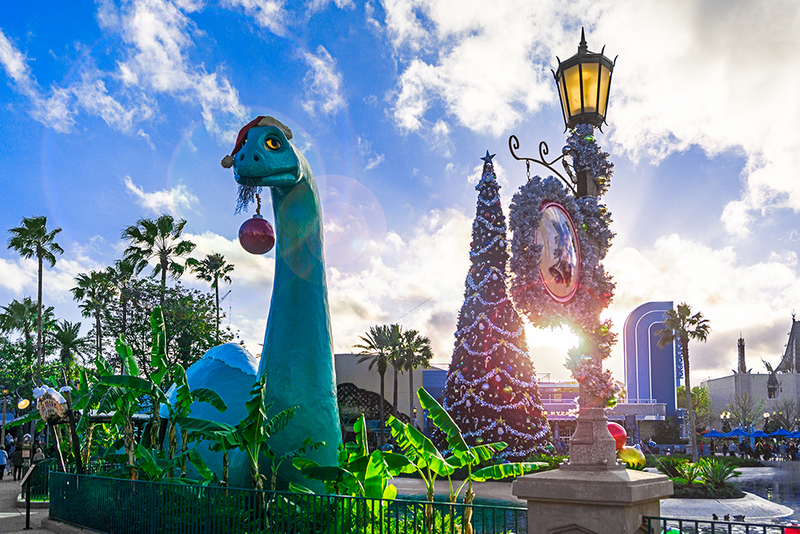 I’m still not happy with the overall state of Hollywood Studios while it’s undergoing it’s transformation to include new Star Wars and Toy Story lands, but Disney has done a great job infusing a genuine holiday spirit into the park. On this visit we didn’t have a whole lot of time in Deb’s favorite park, the Magic Kingdom, but the time we did have was pretty incredible. Because our time was limited I stored my camera in a locker for the daytime portion of our trip so we could just take it all in with our eyes. We’ve visited the MK for the holidays before so we had a idea what to expect for holiday decorations. 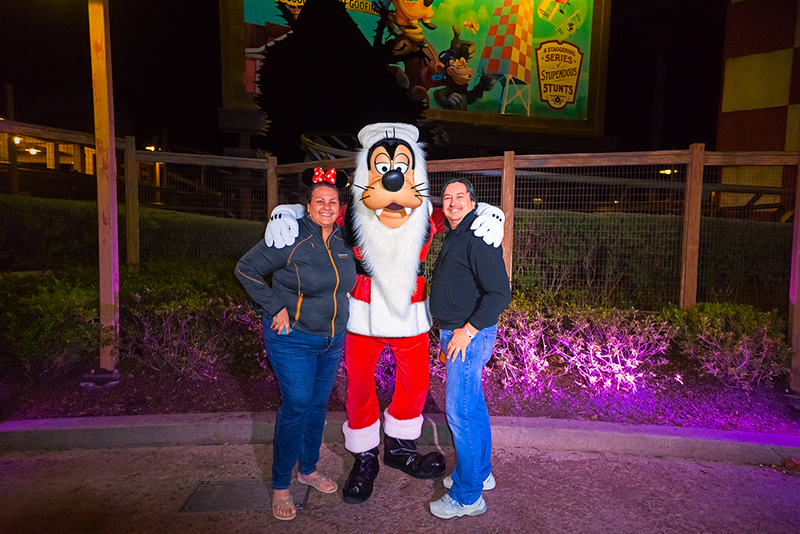 What we didn’t expect was how much we’d enjoy the Mickey’s Very Merry Christmas Party (which I’ll be shortening to “MVMCP” from here on). 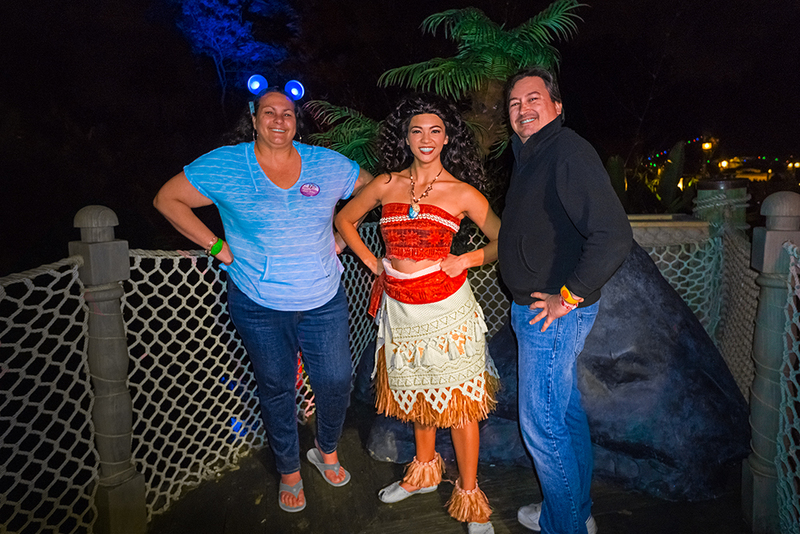 The last time we attended a “hard ticket” event was last years Mickey’s Not So Scary Halloween Party. Usually I love these parties, but on that particular night we spent way too much time waiting to meet the special characters (we waited close to two hours to see the Queen of Hearts, for example) and that didn’t leave us much time for trick-or-treating or much of anything else. I also thought the park was way too crowded for a party so I wouldn’t call it a very good experience. The Christmas party, on the other hand, was an absolute joy and I’m now willing to call the Halloween experience a fluke. We waited to meet the unique characters, again, but this time the waits were not bad at all. 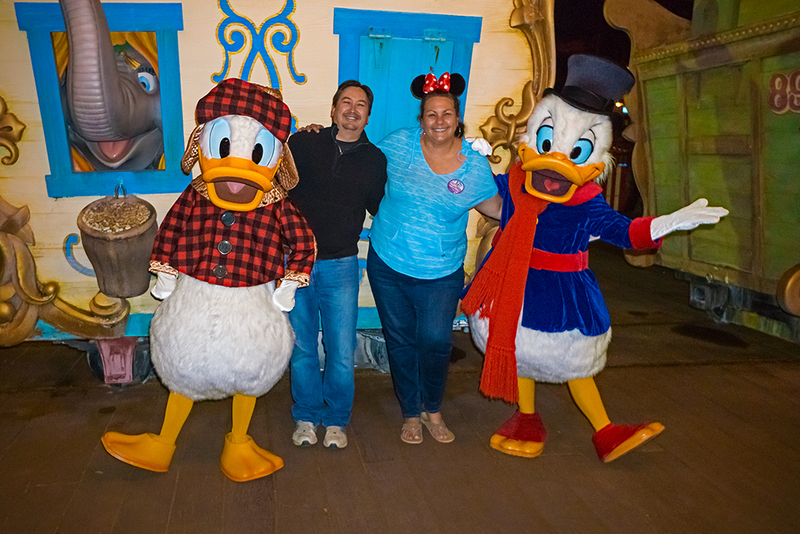 We managed to meet Moana, Nick & Judy (from Zootopia), Scrooge McDuck and Holiday Donald, Holiday Goofy and the entire gang from Aladdin (including Holiday Genie and Apu). 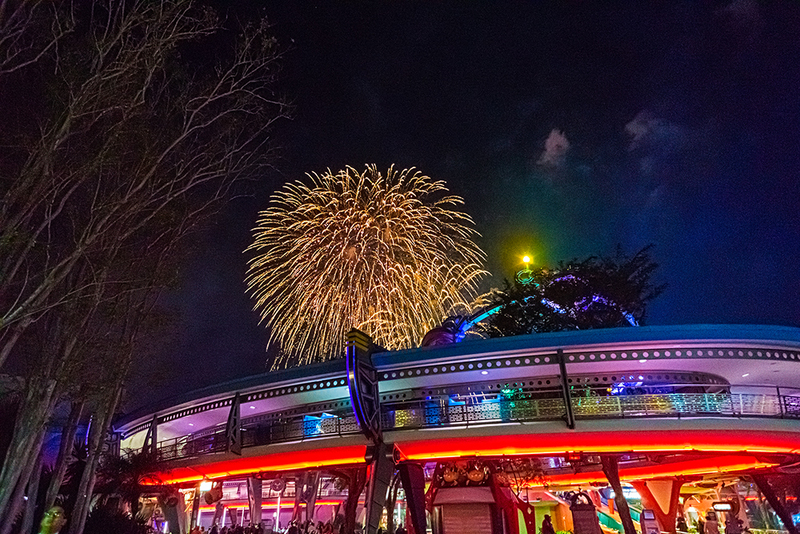 Even with that many character meet-n-greets we still caught the parade (twice), drank plenty of hot cocoa, ate lots of cookies and watched the fireworks from Tomorrowland. We didn’t do everything – but we did manage to do a lot more than I expected we could. For me the Christmas party was a huge win! It was considerably more fun than I expected and it’s definitely on my list of things to do again in the future. 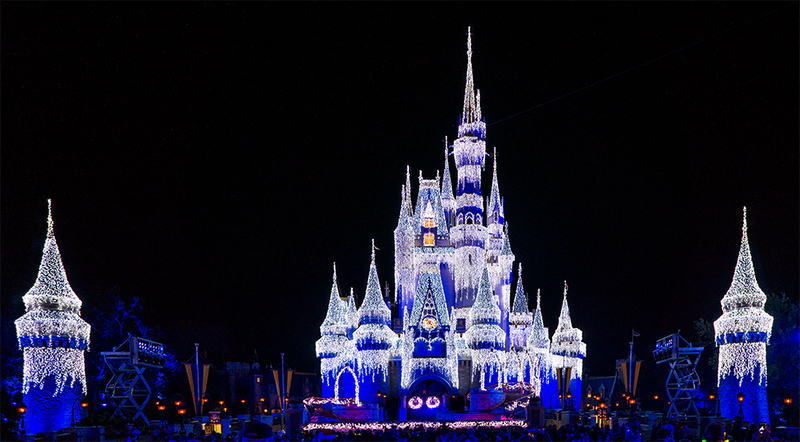 This concludes Part two of our Disney World for the Holidays series. 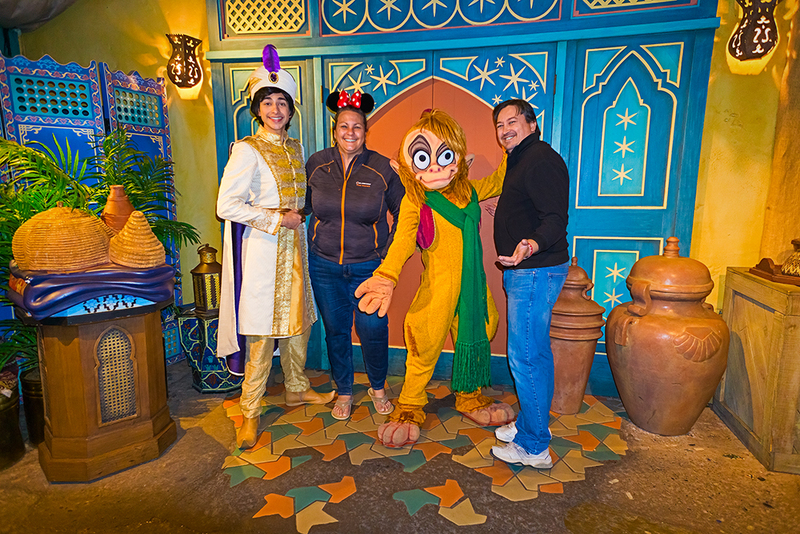 Coming up in Part 3 I’ll wrap it all up with our visit to Epcot, where we saw our first Candlelight Processional, and Animal Kingdom. I’ll have more stories and plenty of pictures. PreviousResortLoop.com Episode 521 – D23 Announcements!! !